SCS Machinery, Trading and Business Center in the China (Shanghai) Pilot Free Trade Zone. 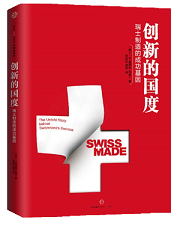 Located in the China (Shanghai) Pilot Free Trade Zone, SCS Machinery, Trading and Business Center exploits the pilot reforms and opening-up measures to offer tailor-made one-stop solutions for Swiss enterprises. The tariff-free status in the Pilot Free Trade Zone entitles corporations flexibility in daily operation, and makes the zone ideal for setting up long-term showrooms, service centers as well as trading offices. Joining hands with IMT, a state-owned trading platform for machine tools companies, the SCS Machinery, Trading and Business Center offers Swiss SMEs tailor-made services including space rental (office, warehouse, showroom), exhibits logistics, import & export, spare parts distribution, company registration, business consulting, and other trade-facilitative services. SCS Machinery, Trading and Business Center is located at the northeast of Shanghai. Although it’s already close to the estuary of Yangtze River, SCS stands only 30km to the People’s Square (the center of Shanghai). The convenient transportation around SCS Machinery, Trading and Business Center not only offers great advantage to cargo delivery, but also enables fast access to other parts of the city as well as to the neighboring provinces. The three-dimensional transportation network consists of Yanggao Rd., Zhangyang Rd., Yangpu Bridge, Middle Ring, Outer Ring, Xiangyin Tunnel, Outer Ring Tunnel, Hu Chong Su Highway and 2 Metro Lines (12 & 6). There are more than 26 universities, colleges and scientific research institutes close to SCS, all providing high profile talents and experienced technicians. Furthermore, Nearby there’s Shanghai No.2 Industry University which provides qualified technical talents in the machinery industry. In the town of China (Shanghai) Pilot Free Trade Zone, medium and unskilled workers are available. Join SCS Michinery, Trading and Business Center!